This revolutionary program has been formulated by Dr Jason Mallia PhD (Nutrition) to combat stubborn cases of weight gain, obesity and chronic illness. 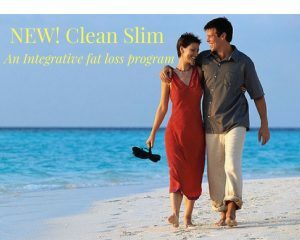 The key differentiating factor is that it combines detoxification and fat-loss in the one program. Not only are you riding yourself of unwanted toxins but also you are shedding those unwanted fat cells from your waste line and other parts of your body. The program combines carefully designed supplements along with a blood type/ genetic approach to improving your overall well being. Let’s face it weight loss isn’t only about looking good but also feeling amazing in the process. Our program is carefully designed to combat stubborn cases of weight problems and obesity that lead to chronic illness such as cardiovascular disease and type 2 diabetes. During our research we have identified that there are 5 key reasons people don’t lose the correct type of weight or have rebound weight gain. 1 The program doesn’t address the underlying reason a person has gained the weight. 2 They have a health problem blocking their condition. 3 They have poor gut health and are inflammatory. 4 The program is not designed specifically to their blood group. 5 They are toxic or plateau when toxins come out during their fat loss regime. The program is designed for use alone or as part of your existing healthcare plan. For best results taking the consultation option with your package will ensure you are keeping yourself accountable and the kilos are dropping off. A qualified healthcare practitioner will be able to guide you every step of the way to ensure you are progressing. A Full Body composition analysis is also performed on each visit to ensure you are losing fat not muscle or water!